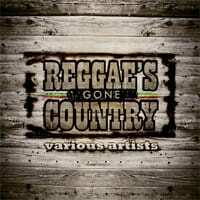 VP Records and Warner Music Nashville will release Reggae’s Gone Country’ on Aug. 30, a musical roots-connecting dialogue between Kingston and Nashville. The compilation features classic country hits covered by Jamaica’s top musicians (Beres Hammond, Tarrus Riley, Tessanne Chin, Etana, Luciano, Sly & Robbie) as well as supporting vocals provided by original recording artist and country icon Larry Gatlin of The Gatlin Brothers. Country music devotee Cristy Barber, VP of Marketing and Promotions at VP Records, the world’s largest reggae label envisioned this project two years ago and teamed up on lead production with John Rich, and the acclaimed Jamaican saxophonist and top reggae producer Dean Fraser. “Reggae’s Gone Country is taking some of Jamaican’s favorite classic American country songs and putting their beats and whole instrumentation around it while still having that root of country… It is this crazy cool idea,” says John Rich. 12. Flowers On The Wall – L.U.S.T.